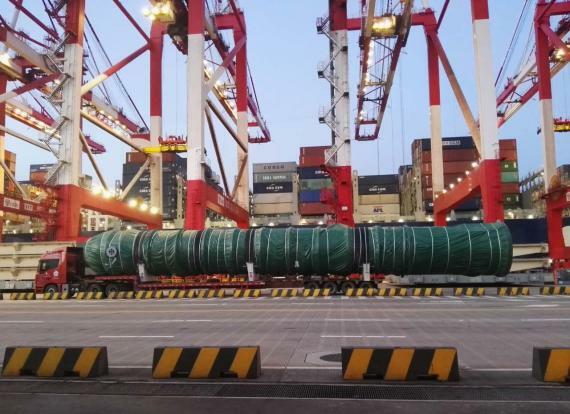 Hacklin Logistics are currently handling the shipping of a huge reactor from Shanghai in China to South Eastern Finland. 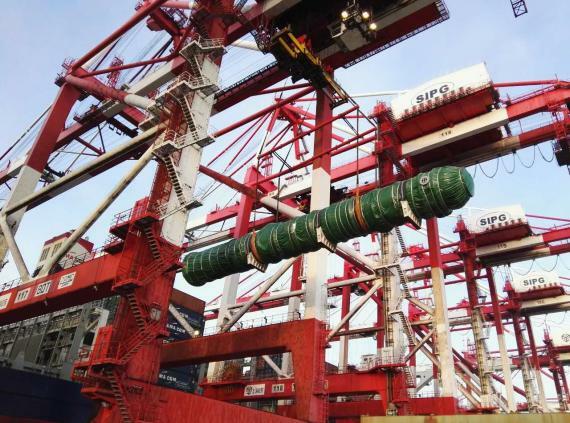 The shipment is being handled port-to-door and the reactor measures 29.52 x 3.94 x 4.15m and weighs 50.5tns. 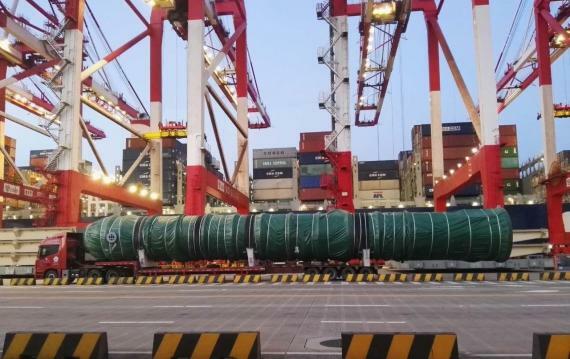 The cargo was loaded in Shanghai onto CMA CGM Benjamin Franklin (see below for photos) and Mrs. Virve Hyytiäinen (Sales Manager at Hacklin) comments that the size was a new record loaded at the Yanghan Terminal. The reactor will be trans-loaded in Hamburg before delivery to South Eastern Finland. Hacklin Logistics have been valued PCN members in Finland since 2011.